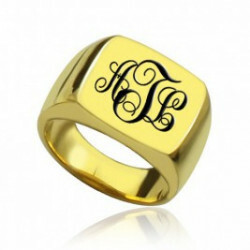 ;Style: Monogram Ring/Engraved Ring Width of Ring Band: 15mm/0.59" Thinkness of Ring: 5mm Mater..
;Style: Monogram Ring/Initial Ring Width of Ring Band: 15mm/0.59" Thinkness of Ring: 5mm Materi..
;Style: Monogram Ring/Engraved Ring Width of Ring Band: 5mm/1.96" Thinkness of Ring: 5mm Materi..
Width of Ring Band: 5-15mm/0.19"-0.59" Thinkness of Ring: 1.2mm Material: 925 Silver Measu..
;Style: Monogram Ring/Engraved Ring Width of Ring Band: -- Thinkness of Ring: 1.2mm Material: 925 Si..
;Style: Monogram Ring/Initial Ring Width of Ring Band: 5mm/1.96" Thinkness of Ring: 5mm Materia..
;Style: Monogram Ring/Initial Ring Width of Ring Band: 5mm/1.96" Thinkness of Ring: 0.7mm Mater..
;Style: Monogram Ring/Engraved Ring Width of Ring Band: 15mm/0.59" Thinkness of Ring: 1.2mm Mat..
;Style: Monogram Ring/Initial Ring Width of Ring Band: 1mm/0.039" Thinkness of Ring: 0.7mm Mate..
;Style: Monogram Ring/Engraved Ring Width of Ring Band: 1mm/0.039" Thinkness of Ring: 1.2mm Mat..
Max Ring Width: 7.5mm.Create a unique Monogram ring with two initials or letters. Your choice of let..
;Style: Monogram Ring/Initial Ring Width of Ring Band: 1mm/0.039" Thinkness of Ring: 1mm/0.039&..
;Style: Mom's gift-Monogram Bracelets Width of Ring Band: 5mm/1.96" Thinkness of Ring: 0.7m..
;Style: Monogram Ring/Engraved Ring Width of Ring Band: 1mm/0.039" Thinkness of Ring: 0.7mm Mat..
;Style: Monogram Ring/Initial Ring Width of Ring Band: 1mm/0.039" Thinkness of Ring: 1.2mm Mate..
Max Ring Width: 10.5mm.Create a unique Monogram ring with two initials or letters. Your choice of le..
Monogram jewellery is one of the hottest trends going on in celebrity fashion today, and now you can..
;Style: Monogram Ring/Initial Ring Width of Ring Band: 1mm/0.039" Thinkness of Ring: 0.7mm Heig..
;Style: Name Ring Width of Ring Band: 5mm/1.96" Thinkness of Ring: 1mm/0.039" Material: 92..